Dragon Ball Xenoverse 2, the second entry in the series developed by Dimps released last year on PC and consoles, is soon going to be released on Nintendo Switch with plenty of exclusive features. Following the announcement of a Japanese release, Bandai Namco confirmed that Dragon Ball Xenoverse 2 Switch will release in North America and Europe sometime this Fall. The new version of the game will come with some exclusive features that will take advantage of the Switch’s unique capabilities like a motion control option and more. This version of the game will take advantage of the incredible features of the console like motion control option during the battles, local ad-hoc multiplayer up to 6, local battle with 2 Joy-Con, 1 system AND the chance to play wherever you want! Additionally, Bandai Namco confirmed that DLC 4 will hit consoles this June, adding two new fighters: Fused Zamasu and SSGSS Vegito. Dragon Ball Xenoverse 2 is one of the most interesting games based on the manga created by Akira Toriyama. While the game doesn’t deviate much from its predecessor’s formula, Dragon Ball Xenoverse 2 is a worthy purchase for all fans of the series. Dragon Ball Xenoverse 2 is hard to recommend as it’s so similar to the first, but if you’re new to Xenoverse and a fan of Dragon Ball I can heartily endorse this game. If you’ve played the first, well… It’s still good, just not really a must-have. 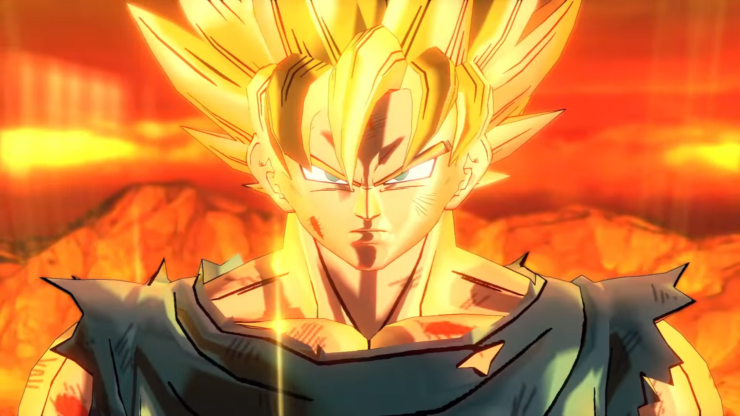 Dragon Ball Xenoverse 2 is now out on PC, PlayStation 4 and Xbox One. The game will launch on Switch sometime this Fall.